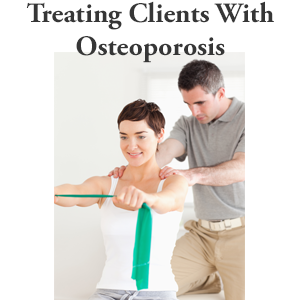 Clients and readers often ask me what is the best exercise for osteoporosis in hips? In this blog, I give you a choice and will demonstrate five variations of exercises for osteoporosis of the hip. Each of these strength exercises is in Exercise for Better Bones. Each is a hip raise exercise and is progressively more difficult to do. The following are the five progressive exercises for osteoporosis of the hip. Each of these is a hip raises exercise. The Hip Raise Feet on Chair is an Active level strength exercise targeted at the hamstrings, buttocks, back, hips and spine. This hip raise exercise is the first of five exercises for osteoporosis of the hip. The following are the instructions for Hip Raise Exercise with Feet on Chair, the first of the exercises for osteoporosis of the hip. With the hip raise exercise with your feet on the chair, you’re going to need a chair. If you don’t have a padded chair, you might choose to put a folded towel or mat over the chair all depending on the sensitivity of your legs. Sit close to the chair. Come down safely to your side. Place your feet onto the chair. As we did with the bridging, I would like for you to place your hands away from your body with your palms up. You’re going to initiate the exercise with the breath in and exhale as you lift. Now a couple of tips here. You want to insure that your kneecaps and your toes are facing the ceiling. As with the bridging exercise, you want to transfer the weight onto your shoulder, but it’s not onto your neck or rather just onto your shoulder blades. And lastly if you are not comfortably coming down into this position, then just as we spoke about in the exercise safety tips, if you need a little support under your head, then please use it in this exercise. Keep everything in alignment, breath in. And you want to get that line between your knee, hip and shoulder, and down, two. Please note that you should not be straightening your leg all the way. So when you come up, you will have a little bend in your knees and that allows you to get a lot more focus in on the hamstring exercise. And come on up through your side. Follow these instructions when you want to do the Hip Raise with Feet on Chair exercise. I have included a video demonstration below. Lie on back with heels and lower legs on chair, knees slightly bent & arms out from your side, palms up. Keep your feet and kneecaps pointed upwards towards the ceiling throughout the exercise. Squeeze buttocks and raise hips off the ground pushing down into the chair. Transfer your weight to your heels and shoulder blades as you lift your hips towards the ceiling. Coming down, lengthen your spine as though your tail bone is reaching towards the chair. Repeat movement until set is completed. Go high enough that you are bringing your hips into the line drawn between your hips, knees and shoulders. The Hip Raises with feet on stability ball is an Athletic strength exercise from the Exercise for Better Bones program. This exercise targets muscles in the buttocks, back and hamstrings and bones in the hips and spine. I demonstrate this exercise in the video below. This hip raise exercise is the second of five exercises for osteoporosis of the hip. Make sure that you use a burst resistant exercise or Phyio ball when you perform this exercise. I discuss how to use a burst resistant ball on this site. The following are the instructions for Hip Raise Exercise with Feet on Ball, the second of the exercises for osteoporosis of the hip. For good body mechanics you want to get used to lying down from your side, when you’re getting onto the ball, or when getting your legs up on to the ball. Go down on to the side. Let the ball follow with you. Then roll it out to position. Arms, when starting this exercise are palms up, 45 degrees away from your body. You want to ensure that your toes and your knee caps are pointing to the ceiling. Your feet are at comfortable distance apart, usually about four, six inches, the more narrow the more challenging it will be. Let’s go through the exercise. Take a breath in, exhale. As you lift start transferring your weight through your shoulder blades. Lift to where your shoulders, hips, and the back of your knees form a straight line, and back down. The Hip Raises Position A is a strength exercise from the Exercise for Better Bones program specifically designed for the Elite Level. The exercise targets the muscles of the hamstrings, back, and buttocks. It also targets the bones in the spine and hips. This hip raise exercise is the third of five exercises for osteoporosis of the hip. The following are the instructions for Hip Raise Exercise with Feet on Ball, the third of the exercises for osteoporosis of the hip. For good body mechanics, you want to get used to lying down through your side when getting on to the ball or when getting your legs up onto the ball. Bend off the side, let the ball follow with you, and then roll it out to position. Arms, when starting this exercise, are palms up, 45 degrees away from your body. Your feet are a comfortable distance apart, usually about four or six inches. The more narrow, the more challenging it will be. As you lift, start transferring your weight through your shoulder blades. A couple of variables here that you can play with. If you’re doing this exercise and you’re wanting to increase the intensity of the exercise, then you can do it with less leg on the ball. I’ve just demonstrated it with my heels on the ball. Oftentimes, people will start, if you’re looking for less intensity, will start with more leg on the ball. If I would do it with my calf muscles sitting on the ball, that would be less intense. And as I increase the intensity, I would have just my heels on the ball. Another way to increase the intensity of this exercise, because we’re not actually holding a weight, we’re using our body as the challenge, we can start bringing our arms away from the start position. Do this exercise with your arms up into this position, and then gradually straight overhead. Then eventually, do the whole exercise with your arms. I like to cross my fingers and flex them up, tucking the shoulder blades down into the floor. This would be the hardest version of the position A where you would do your breath in, coming up just onto your heels. Remember to keep a little bend on your knees, and back down. And when you’re coming down, you’re not rolling one vertebra at a time, but rather you’re just drawing your pelvis down towards the ball. So it’s a little bit of a traction effect. And that’s it for Hip Raise Exercise with Feet on Ball • Position A. The Hip Raises Position B is a strength exercise from the Exercise for Better Bones program specifically designed for the Elite Level. The exercise targets the muscles of the hamstrings, back, and buttocks. It also targets the bones in the spine and hips. This hip raise exercise is the fourth of five exercises for osteoporosis of the hip. 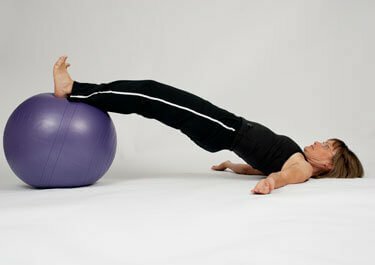 The following are the instructions for Hip Raise Exercise with Feet on Ball, the fourth of the osteoporosis exercises for hips. As in position A, we’re going to roll down through our side, taking the ball with us. Position B builds on position A. Generally, you’re going to take a step down, but if you have progressed to your arms being at 90, return them to the 45 to begin your position B. You take your breath in, with your knee caps, toes pointing straight to the ceiling. You are going to raise your hips just as you did in position A. Now you’re going to roll the ball in towards you. As you roll it in towards you, ensure that your driving your weight through your shoulder blades. You want to get that nice straight line between the shoulder, hip, and knee. Roll back out and down. Now I did that in slow motion and paused to be able to explain it, but the pace of the exercise would look more like this. Raise to position A, roll in, back out to position A, and down. And just as in position A, the intensity of this exercise can be modified by moving your arms away from your body and eventually doing it with your arms straight up overhead. And that’s it for Hip Raise Exercise with Feet on Ball • Position B. The Hip Raises Position C is a strength exercise from the Exercise for Better Bones program specifically designed for the Elite Level. The exercise targets the muscles of the hamstrings, back, and buttocks. It also targets the bones in the spine and hips. This hip raise exercise is the last of five exercises for osteoporosis of the hip. The following are the instructions for Hip Raise Exercise with Feet on Ball, the last of the osteoporosis exercises for hips. We’re doing the elite level strength for hip raises position C on the ball. Start again by taking the ball down with you to your side. This time, you’re going to roll the ball away from you. You want your feet on the side of the ball, and your knees are going to be bent somewhere between 20 and 40 degrees. Arms are palms up away from your body so about a 45 degree angle, tuck your shoulder blades down, and that’s where your weight is going to be transferred as you raise your hips. Take your breath in, slowly, gently tighten your tummy as you lift up. Then draw your pelvis back down towards the ball when you descend. As in position A and position B, you can increase the intensity this exercise by moving your arms away from the start position to eventually doing it straight overhead or without arms altogether. In this position your arms are pointing to the ceiling and you tuck your shoulder blades into the ball. This forces you to recruit more core stabilization. 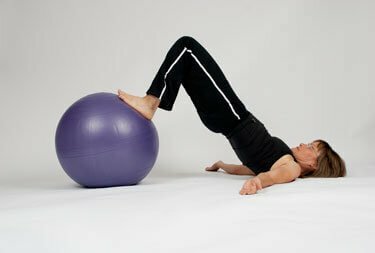 That’s it for Hip Raise Exercise with Feet on Ball • Position C.
Does Osteoporosis Cause Hip Pain? I loved your videos and can’t wait to start trying these exercises. Your directions are simple and clear. I so often find a new twist to e exercises I have been doing when I review the videos. Thanks you for making them so accessible. You have 5 progressive exercises for the hips. Should I do them all? How many times each one? If that is the case. 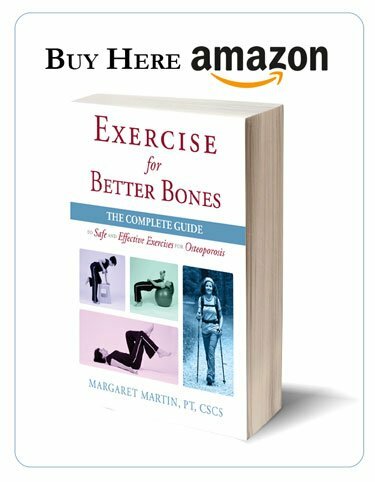 Hi Lizette: If you are following the Exercise for Better Bones program, Margaret provides a workout schedule for each of the exercises. I am kind of confused. I am doing the exercises I see on the internet. Where do I follow the program to see the work schedules? 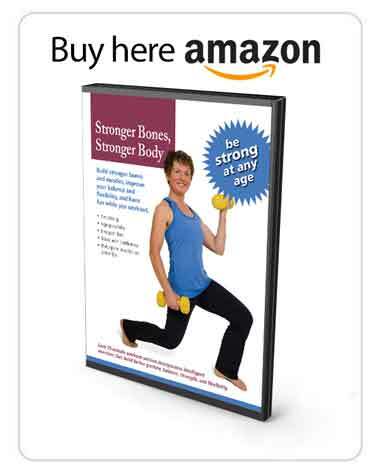 Hi Lizette, You will find the link to the exercise schedules on page 21 of Exercise for Better Bones. Thank you for supporting our work by purchasing my book and DVD. All the best. I am following the schedule for the athletic level but I usually do 2 days in one followed by one session of the dvd. 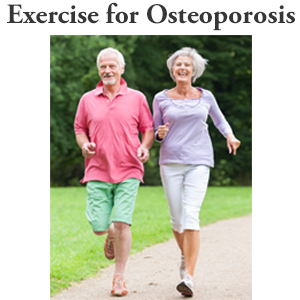 Can you please list the names of the exercises if you have osteoporosis in the femoral neck. Yo say besides squats there are others. Which are they? Hello Margaret. I have a stability ball and hand weights. 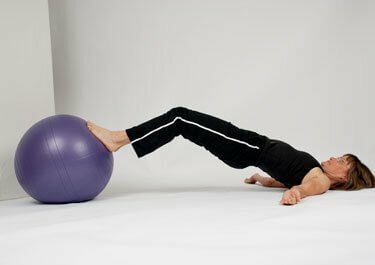 Would it help the osteoporosis in my hips if I were to sit and bounce on the ball while holding weights? Thank you. There is a warm up that I enjoy doing that involves a little bounce on the stability ball but I use it simply to warm up and I know that the impact through the hip is not enough to build bone. Bone responds to mechanical stress such as loading and being pulled on by muscles. In order to build bone either and/or both forces need to be strong enough to stimulate the bone to want to spend the energy it feels it needs to to protect itself from the forces. As far as loading brisk walking and running stimulate the hip because of the gravitational forces through the leg bones on impact. Secondly I would not recommend you bounce on the ball while holding weighs. Best to have your hands free to help you stabilize. I am also not a fan of lifting weights from a sitting position. Sitting creates more negative compressive forces on our disc. So if you are lifting either lie on your back, on a ball or stand.